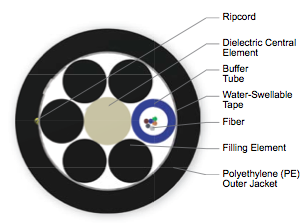 Corning offers a broad range of end-to-end fiber optic product solutions for customers' telecommunications networks. Our customer-focused solutions include cables, connectors, and related hardware, and network services that include network design, project management, installation and maintenance. 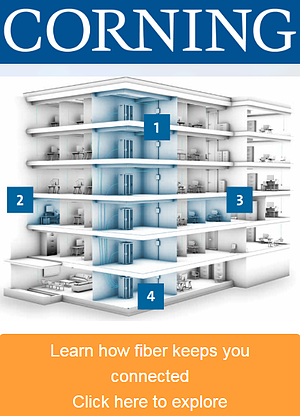 Where’s Fiber in the LAN? 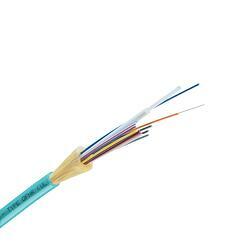 From campus and building backbones to horizontal cabling, Corning offers a complete line of fiber-to-the-edge solutions for every part of your optical local area network including cables, connectors, hardware, and accessories. Corning’s solutions offer faster installation times and moves, adds, and changes, as well as 100 percent more density than competing preterminated solutions. In preparation of increasing transmission speeds, ranging from 10 to 400G, Corning has introduced its EDGE8™ solutions, offering superior network scalability, improved link performance, and 100 percent fiber utilization—all in a Base-8 design. Corning ® Optical Network Evolution (ONE™) solution is a complete future-ready converged solution ideal for both enterprises and wireless operators. Built on an all-optical backbone, ONE provides unlimited and extended reach to support multiple in-building applications, including Wi-Fi, VoIP, security/video surveillance, and point of sale. Our Bill-of-Materials (BOM) Tool makes building a LAN or data center bill-of-materials as easy as point and click! Our latest version of the tool has enhanced functionality and product selection. Check out Corning’s most popular products (and what’s most readily available) in this comprehensive guide, ready for download. Prefer a hard copy? No worries— just submit a quick and easy form and it’s on its way! With more than 350 assets, Corning’s video library includes everything from product awareness and installation tutorials to industry education and testing procedures.